#921 of 1500. LEC Exclusive. 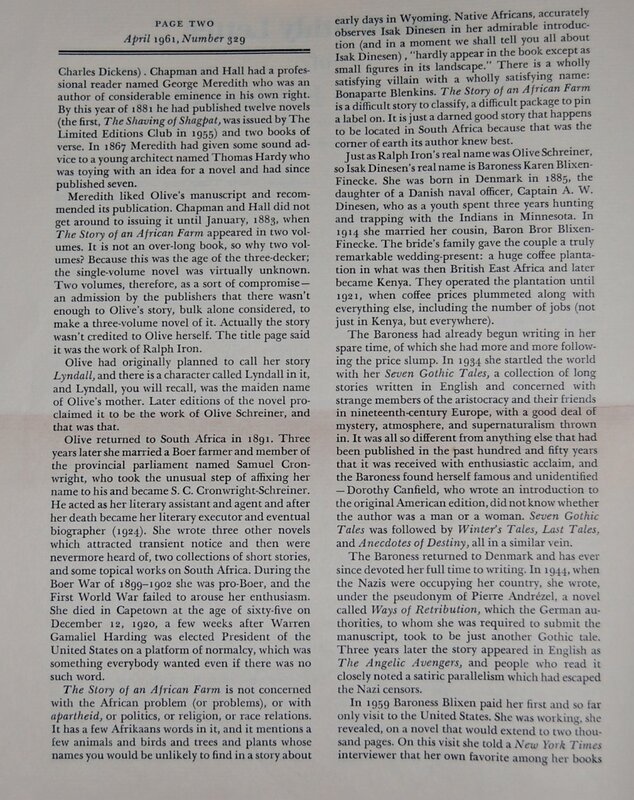 Front Binding – Hello friends, we’re back with another LEC offering, this time The Story of an African Farm by Olive Schreiner. This was Schreiner’s sole LEC production, but the book does have a fascinating story behind it. But before we dig into that, let’s touch on Schreiner’s past a bit. She worked as a governess for two separate families in Cradock in the then-known Basutoland (now Lesotho), having been born and raised in the region. In her thirties she departed for England, and despite her relative lack of formal education had enough independent reading to formulate the manuscript for the novel before you now. 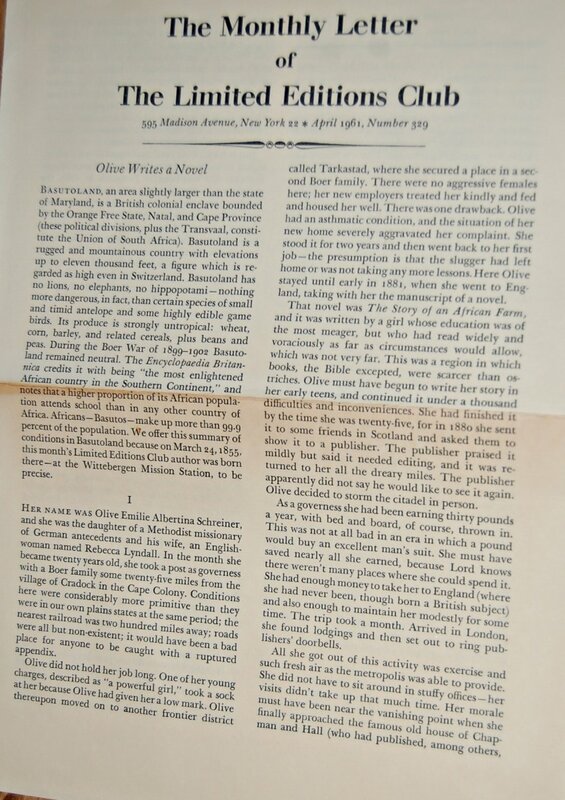 However, in Victorian England a woman did not have the easiest time of publishing her own works, but Olive was tenacious and kept circulating her manuscript to various publishers. It eventually fell into the hands of George Meredith (of Shaving of Shagpat fame), who enjoyed her novel and pushed for his publisher Chapman and Hall to publish it. In 1883, the book was issued as a two-volume set under the name of Ralph Iron (see what I mean?). Eventually the work was attached to Schreiner, who had returned to Basutoland in 1891, married Samuel Cronwright (who affixed her last name to his), and continued to write, although none of her other literary efforts reached the acclaim of her first. Another first is illustrator Paul Hogarth, an artist who had seen prior publications of Jane Eyre and The Pickwick Papers issued in foreign countries, and this was one of his earliest American contributions to book illustration. Unlike its author Hogarth would return to the LEC for three more commissions for Cardevon and Sid Shiff’s tenures with the Club: Memoirs of a Fox-Hunting Man by Siegfried Sassoon in 1977, Robert Grave’s Poems in 1980, and Sassoon’s Memoirs of an Infantry Officer in 1981. So let’s get into the meat of this book’s history. 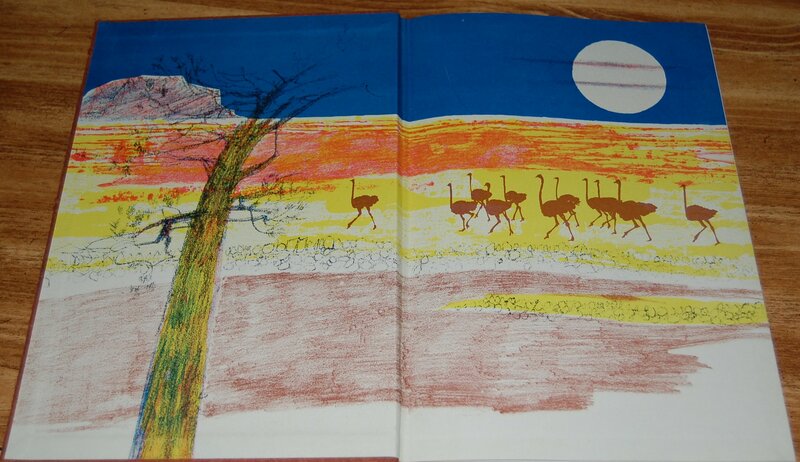 You may recall a little while back I produced a post on the “Booklover’s Journey of the World“. I’ll refrain from diving back into that well, but the short of it is that this book was originally planned to be a part of that series when George Macy was still alive and well, and would be entirely produced in Basutoland per the perimeters of the project. As that post documents, this was alas not a long-lived notion, as World War II dashed the enterprise before it could really take off. 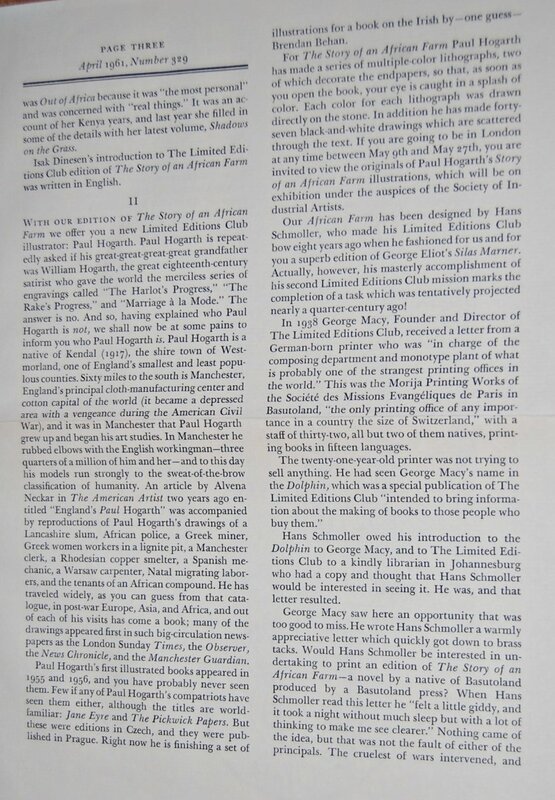 The newsletter is refreshingly candid about the doomed idea, showing how designer and then-Basutoland publisher Hans Schmoller reached out to Macy to produce a book at his press, and how Macy pitched Story to him, only for the War to intervene and for the suggestion to go unmoved. 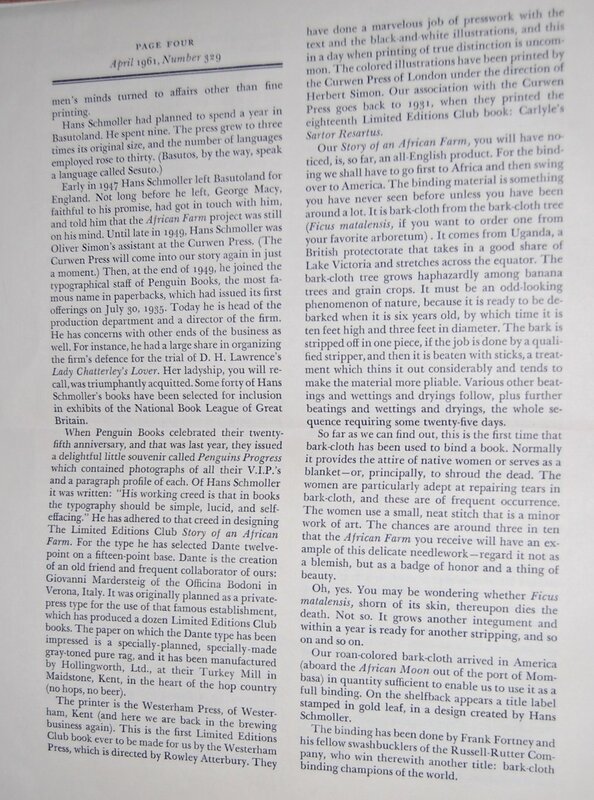 As the war ended and Schmoller relocated to England, Macy reconnected in the hopes of moving forward with the book once more, but Schmoller was not the head of a press and by the time he was head of the production team at Penguin Books in 1949 and in a role he could act on such a request, Macy’s health was in decline and it took another 12 years for the edition Macy had so yearned to create to become reality under his wife Helen’s eye. Design Notes – Schmoller may have had to wait several years to execute this book, but he adhered to the original plan as much as he conceivably could. 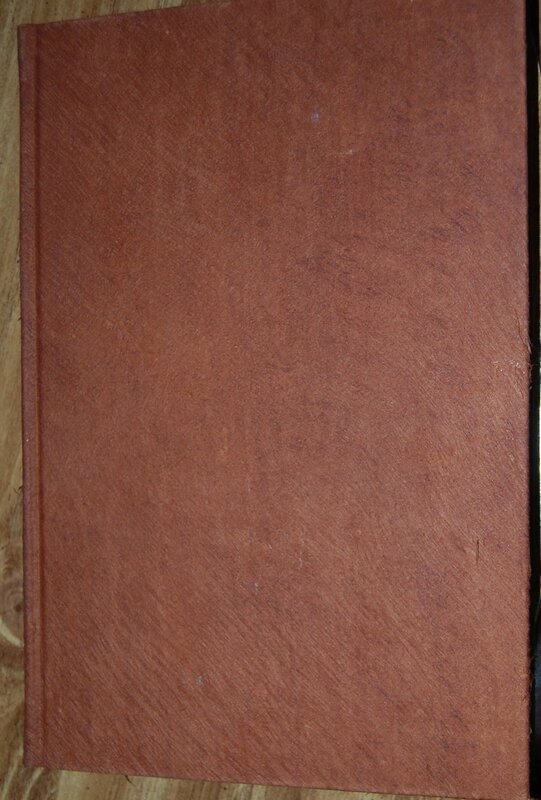 While the book’s text and black and white illustrations were ultimately printed by the Westerham Press in Kent instead of at Schmoller’s former Basutoland press Morija Printing Works, the binding maintained Macy’s intent of utilizing the bark-cloth tree’s namesake bark as the binding material. To the Club’s knowledge this is the first time the material was used to decorate the outside of a book, which was originally stitched together by Basuto women artisans well-versed in utilizing it for clothing and other means. Russell-Rutter per usual was the bindery. The spine’s red cloth and gold leaf design was created by Schmoller. Back to the innards: Dante was the font chosen for the text, with the Hollingworth Ltd.’s Turkey Mill producing the gray-rag paper. 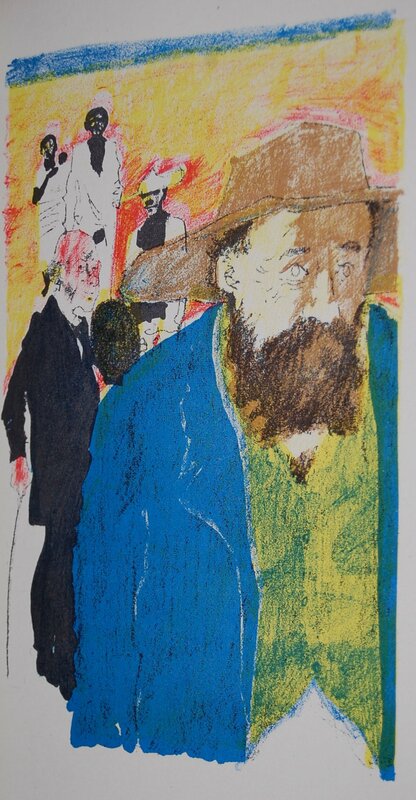 The Curwen Press reproduced Hogarth’s color lithographs. 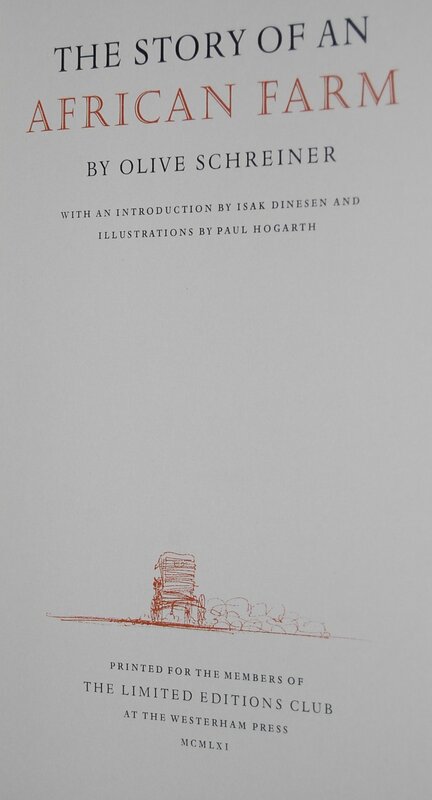 Title Page – Noted author Isak Dinesen, pen name of Baroness Karen Blixen-Finecke, provides an introduction. 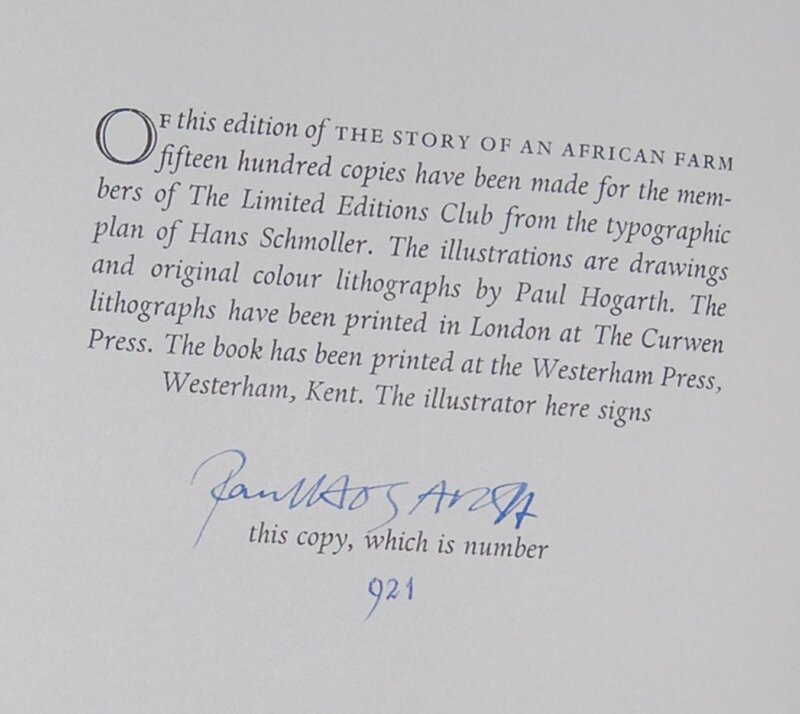 Colophon – This is #921 of 1500, and signed by Hogarth. Front Endpapers – Hogarth proides multicolor lithographs, which are nice but personally are not my favorite. Page 15 – He also created forty-seven drawings that decorate the text. Personal Notes – My good friend Django6924 sold this to me as part of his recent cull. Very happy to have this in my collection! You are currently viewing the archives for July, 2018 at The George Macy Imagery.